Has the three-tier system become archaic? For many, the ability to go to the local grocery store or corner store and pick up a six-pack of their favorite craft beer is merely a matter of convenience. No thought is given to how that beer got there or who put it there. It is just there, ready to be picked up, purchased and consumed. But, the story of how craft beer gets from brewer to grocer is fascinating and, at times, frustrating. As America awoke from the long, dark nightmare that was Prohibition, the federal government left the regulation of alcohol to the states. Lawmakers wanted a way to prevent the proliferation of “tied houses” or saloons that served beer from only one brewery. Before prohibition, it was common for breweries to provide loans to bar owners for furniture and bar equipment under the stipulation that the bar only serve their beer. Along with the loan, breweries applied pressure to the barkeep to sell more and more beer, often leading to overconsumption and drunkenness of patrons. Add in the specter of the mob-controlled distribution and speakeasy networks during Prohibition and it was apparent a change had to be made. These fears led to the adoption of what is known as the “three-tier system.” This set of laws separate brewers from retailers through a middle-man or distributor. In essence, the system requires brewers to sell their beer to a distributor who then sells the beer to retailers like bars, restaurants and stores. Since the federal government left the states to regulate alcohol as they saw fit, the system is not consistent across the nation. But, for the most part, the system prohibits breweries from owning distribution firms or selling directly to retailers. In Florida, breweries are allowed to operate tap rooms where they are allowed to sell their own beer to guests on a limited basis. But, in an industry overflowing with choices, brewers can find it difficult to get shelf space or tap placements if their beer is sub-par. For this reason, many distributors recommend breweries fine tune their beers in their tap room before releasing them to distribution. The system is not without its critics. Some breweries, particularly smaller ones, contend that self-distribution would allow them to ensure their beers stay on tap thereby helping both the brewery and retailer make more sales. They cite the example of a bar that blows a tap of their beer on a Friday evening. If there are no self-distribution laws and only the three-tier system, the bar must wait until Monday when the distributor is open for a new keg. With self-distribution, the brewery could deliver a keg directly. As is common among older alcohol laws, a close look at the system is needed to fully understand what still makes sense. And, as we all know, the wheels of government turn slowly. But, for now, raise a glass of your favorite brew to the fine men and women employed by your local distributors for they truly do deliver happiness. But, some brewers, particularly small and local companies, are discovering that the three-tier system is holding them back. Beer is an exceptionally complex creation that, as the craft beer renaissance continues, is also exceedingly intimidating. There is a dizzying number of styles to choose from each described in terms that sound like they come from a different language. But, fear not gentle neophyte, we are here to help. Whether you want to learn about beer for your own edification or so that you can follow a beer-centric conversation without having to ask for translation, every beer drinker should know what type of beer they are drinking. To clarify, there are two main types of beer, but many different styles. According to the Beer Judge Certification Program Style Guide (2008 Edition) there are 23 distinct beer styles, each with multiple sub-styles. The 2014 Great American Beer Festival guidelines list 90 styles with multiple sub-styles. But, we will talk more about styles later. As noted above, there are two main beer types; ale and lager. The major differences between the two types lies in the yeast that is used and how they are fermented. Ales are fermented at warmer temperatures and employ top-fermenting yeast. That is to say, the yeast tends to float towards the top of a fermentation tank as it works its miracle on sugars suspended in the liquid. Ales were the first type of beer discovered and have roots that extend more than 9,000 years into history. Ales tend to have robust flavors and higher alcohol content. Lagers are made with bottom-fermenting yeast and require cooler temperatures – around 40 to 55F. They also require longer for fermentation to complete. The term lager comes from the Germany word for storing the beer in cool caves or lagerung. Because of the longer fermentation time and cooler temperatures, lagers tend to have lighter, crisper flavors. Now that you know the two types of beer, it is important to understand what ingredients besides yeast go into the final product. In its purest form beer consists of just four components; water, malt, yeast and hops. Water is arguably the most important ingredient in the mixture that comprises beer. Without this single, abundant element beer would never have been discovered. But, different water results in different beer. Indeed, entire styles of beers have resulted because of the type of water available. The relative hardness or softness of water can impart very different flavors due to mineral content. Malt usually refers to barley that has been allowed to begin to sprout before being dried in a kiln. But, other grains such as rye, wheat and oats can be used in the brewing process. The type of malt and the amount that it is roasted in the kiln plays a major role in the characteristics of the finished beer. Yeast strains are not restricted to just top and bottom fermenting. Within those two categories are hundreds of strains that impart different flavor profiles in to beer. Some brewers even allow their beer to be inoculated by wild yeasts to elicit sour or funky flavors. Hops are the flower cones of the hops plant. Added during the boil phase of brewing beer, hops contribute the distinctive bitter flavor evident in most beer. In addition, hops are a natural preservative and contribute to stabilizing beer for storage over a period of time. In the hands of a master brewer, these four ingredients can be transformed into literally scores of different beer styles. But, when adjuncts are added such as corn, rice or fruit, the possibilities open further. So, now that you know about basic beer types and ingredients, it is time to have a discussion on styles. The most popular style of beer in the world is the light lagers produced by huge corporate beer conglomerates. These beers tend to be light to medium yellow in color, highly carbonated and are mild in flavor. Most of these light lagers are brewed to closely approximate the German pilsner style. But, there are many more styles with much more flavor to choose from. Pilsners are lagers and are generally straw to light gold in color and crystal clear. They have aromas of grain, yeast, flowers and some bitterness. They are crisp, slightly bitter and maybe a bit biscuity in flavor. This style takes its name from the city of Plzeň, Bohemia, Czech Republic, where it was first produced in 1842. Later the Germans began producing the style and to this day many people mistakenly attribute the style to the Germans. 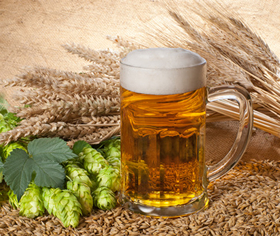 Wheat beers are ales and as a general style are cloudy and range in color from pale straw to dark gold. When you smell a wheat beer you are likely to get hints of banana, cloves, grain and perhaps sweet citrus. A sip should provide a mild to strong banana and clove flavor as well as a slight tart tang. Brewers often add orange peel, cardamom and coriander to this style so these flavors may be present as well. These beers may be referred to as heffeweizen, weizen, witbier or wit. Pale ales are, as the name implies, ales that range from pale gold to deep amber in color. They usually have a moderate aroma of hops that might include pine or citrus. On the tongue pale ales generally show off their moderate hop characteristic with a balanced, mildly sweet malty backbone. Pale ales that are brewed in the Burton upon Trent, UK are considered to be the best in the world to the high gypsum content of the local water. IPAs, are ales that are clear and have a range of colors from deep gold to reddish copper. Aromas from IPAs are heavy on hop bitterness and can include pine, citrus, resin, floral or fruity. The flavor can be mildly hoppy to bitingly bitter with an assertively sweet malt backbone. IPAs began in England and were formulated to survive long voyages by sea better than other styles. Stouts and porters, while technically two different styles, share many of the same characteristics. These dark brews range in color from light brown to black. Aromas you will experience with both can include coffee, chocolate, dark fruits, toffee, caramel and even cream. A taste of these styles may present flavors that match the aromas as well as others like burnt toast, hop bitterness and sweet cream. Stouts are generally considered heavy beers than stout in flavor but, not necessarily in alcohol. Porters were said to be favored by the baggage handlers in London’s train stations, thus the name. Both styles are often carbonated with nitrogen rather than carbon dioxide producing a creamier, richer mouthfeel. As a starting point, the information presented here can be used to springboard into more learning. The world of beer is full of traditions, customs and practices. There are many more styles of beer to discover as you taste your way through craft beer culture. In addition, each style has an optimal style of glassware created to enhance its specific characteristics. The best way to learn is to simply try new things, read as much as you can and enjoy the camaraderie of friends over a delicious well-crafted beer. Beer is a wondrous and often confusing substance. Questions abound like; where did beer come from? 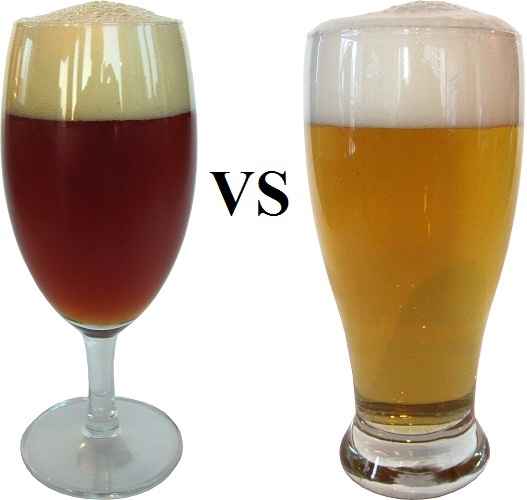 What is the difference between lagers and ales? How did different styles get their start? What foods go best with specific beers styles? All these questions and more are answered in the new series of beer education classes at King Street Beer District watering hole The Silver Cow/The Annex. Silver Cow bartender Kyle Rose led the first class, Beer 101, with a slew of interesting stories and facts that both entertained and informed. Armed with a notepad full of notes, Rose kept the gathering of beer pilgrims enthralled as they sipped several different beers and munched charcuterie matched to each. In all, the hour or so spent at the class was pleasant, informative and satisfying. Beer samples were appropriate and the food parings were suitable. Future classes will cover topics such as Belgian beers, sour ales and Bourbon barrel-aged brews. 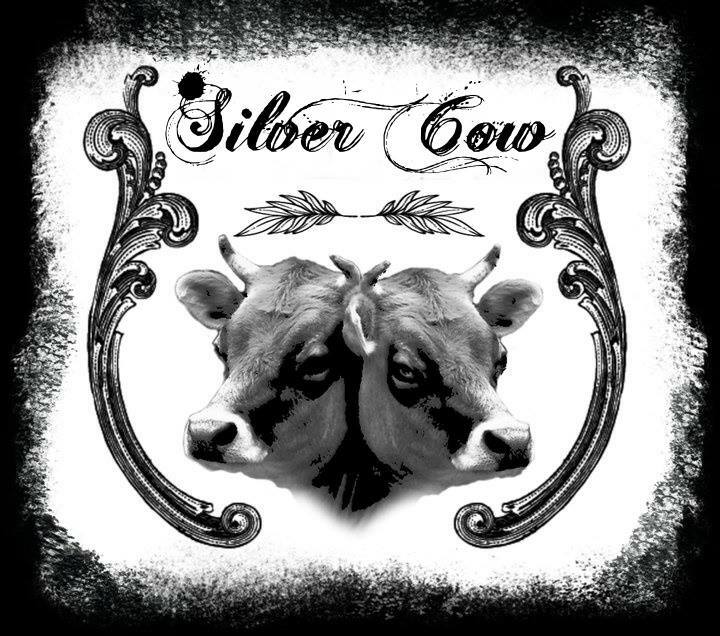 Classes are $20 each, reservations may be made at The Silver Cow/The Annex or by emailing info@silvercowjax.com. More information can be found at: https://www.facebook.com/events/1676964462592719/. Water, barley and hops; as most beer aficionados know, these are the three main ingredients – along with yeast – that makes up the basis of the world’s third favorite beverage. These are also the only three ingredients allowed in beer according to the famous German Beer Purity law known as Reinheitsgebot (pronounced Rhine-Hites-gaBoat). This year the often misunderstood law celebrates 500 years of legislating German beer production. Originally, the law was a ducal decree issued by Duke Wilhelm IV and his brother Duke Ludwig X on April 23, 1516. The two Bavarian dukes introduced the law at Ingolstadt during a meeting of the assembly of the Estates of Bavaria. It was proposed as a means for the government to regulate the ingredients, processes and taxation of beer produced. At first, the law only covered the southern regions of the Germanic world, later it was adopted by the entire German Empire. The true intent, though, was to keep beer “pure” and safe and keep cheap, sometimes dangerous, ingredients out of beer that was sold to the general public. In medieval times, unscrupulous brewers often added unhealthy ingredients to beer in order to produce the beverage more economically. Often items such as roots, rushes, mushrooms and animal by-products would be added to the brewing process – sometimes leading to batches of toxic brew. To fight this practice, the Reinheitsgebot limited the brewers to using only three ingredients in beer – water, barley and hops. Yeast was not listed in the original law because it had not yet been discovered; it was added to the law later after Louis Pastor documented the part the organism plays in fermenting liquids. The law applies to bottom-fermented or lager beers leaving room for top-fermented German ales like Kolsch and Alt to use other grains. The law provides for German ales to contain other malted grains including wheat for Weissbier as well as various forms of sugar derived cane or beet and sugar-derived coloring agents. Chemicals or other processed compounds were still expressly forbidden. Over the centuries, the law stood the test of time and, though it was struck down by the European Court in 1987 as a restraint of free trade, many German breweries still proudly follow the law. These traditional breweries proudly announce on their labels that they still adhere to the purity law and have no intention of wavering. At 500-years-old, the Reinheitsgebot stands as the world’s oldest consumer protection law. It is a testament to how a law once thought to be constraining actually served to spark creativity and innovation. Today, there are scores of German beer styles that adhere to the law in a dizzying array of strengths and flavors. 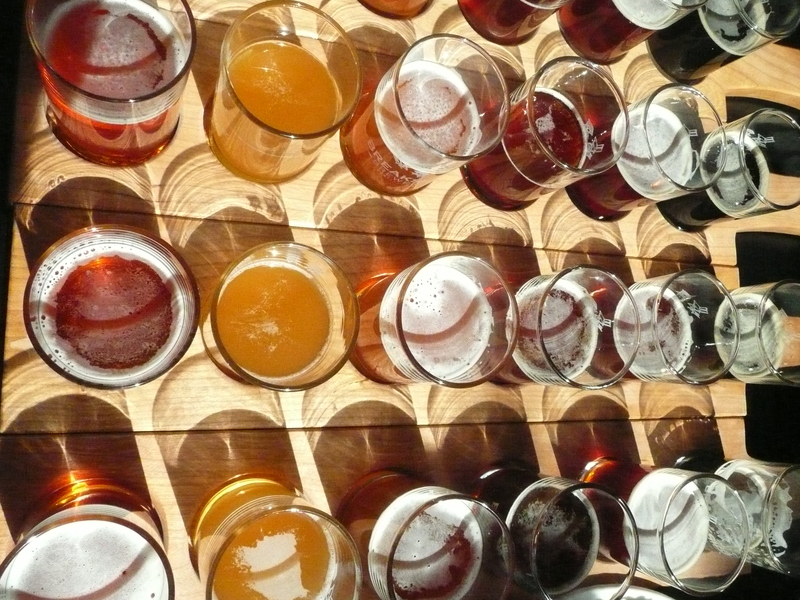 More than enough to keep beer-lovers busy tasting the many brews still conforming to the law. Last month I was approached by a group of college students who were looking to make a series of documentary films about the Jax Ale Trail. They were looking for a someone to act as host for the programs who had knowledge of the Jacksonville beer scene and of craft beer in general. I was honored to fill the position and had a lot of fun making the four short films they produced. If you missed the first episode of the series you may view it here. The second Installment of the student film takes us to Aardwolf Brewing Company in the San Marco neighborhood of Jacksonville. In this episode we talk with Corey one of the bartenders and brewery staff about the history of the building were Aardwolf is housed, the plans for the future and we taste some of the delicious beers produced by the brewery. The May 2015 edition of BUZZ Magazine features an edited version of this article in my regular Brew Time column on Page 49. But, since that column was so space restricted, I decided to publish the article in its entirety here. I hope you enjoy both the abridged version in BUZZ and this full version. Be sure to pick up a copy of BUZZ monthly to read my columns that explore the historic aspects of the world’s third favorite beverage (behind tea and water). Homebrewers are passionate about their hobby. Get in to a conversation with one of them and you will likely get an earful of terms like attenuation, specific gravity and Saccharomyces. Within the community of homebrewers it is not at all unlikely to hear that they spend entire weekends sweating over boiling pots of wort and adding hops to their latest attempt at cloning Pliney the Younger (a mythical and extremely rare beer that every serious beer lover aches to taste). Until 1979 it was illegal to brew beer at home. President Jimmy Carter, whose infamous brother Billy lent his name to a short-lived beer brand, put an end to the Prohibition-era ban on homebrewing when he signed a bill in February of that year. The new law set limits on how much beer could be brewed at home (100 gallons per year) and how old one had to be to brew it (21-years-old). In the last 30 or so years, homebrewers have come a long way to advance the methods used to create tasty beers. Some have been so successful that they have gone on to found their own breweries and brew pubs. To those enterprising souls, the art of homebrewing was a labor of love that led to a new career in the ever-expanding craft beer industry. Homebrewing is about two things: ingredients and process. Knowledge of both is critical to creating a drinkable and enjoyable brew. Water – Tap water is fine, but if you live in an area that has distinctly hard water, you may want to opt to purchase bottled spring water. Since beer is more than 95-percent water, whatever your source, it will affect the finished product. Malt – The most common malt used to brew beer is barley malt. Malt is any grain that has been allowed to germinate, but not sprout. Malting changes the chemical composition of the grain to convert its sugars and make them more palatable to yeast. This in turn facilitates brewing. Malts provide sweetness to beer that offsets the bitter flavors provided by hops. Hops – These cones are the flowers of the hops vine. Hops are used to impart bitter flavors to beer and offset the rich sweetness provided by malt. Depending on the type of beer being brewed varying amounts of hops are used. IPAs are generously hopped for a bitter wallop of flavor while Belgian styles generally use a less substantial application. Yeast – Before the mid-1800s, no one really knew how the alcohol in beer occurred. But, after Louis Pasteur studied the little beasties, it was understood that the single-celled organisms digest the sugars provided by malts and excrete alcohol and carbon-dioxide. In brewing there are two main types of yeast; lager yeast that ferments at cooler temperatures and ale yeast that ferments at warmer temperatures. 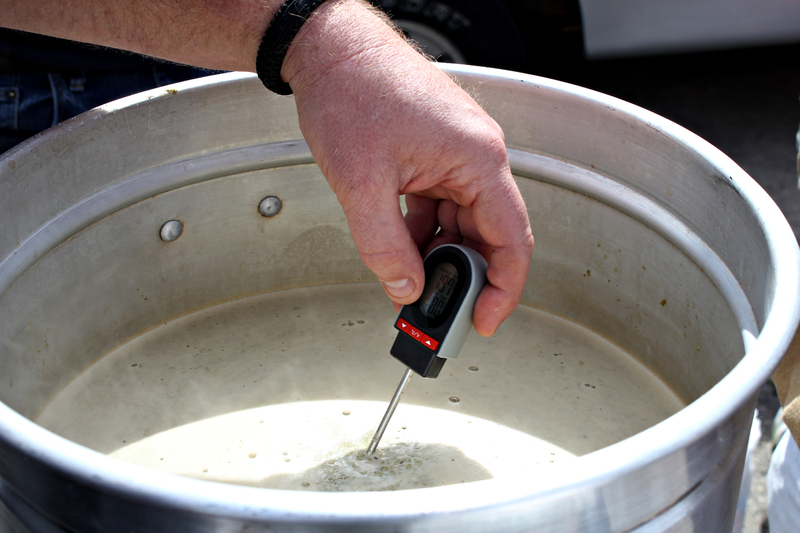 In homebrewing, there are three primary methods to create a batch of tasty suds: extract, partial mash and all-grain. The best place to start is with extract and then, as your skill grows move on to partial mash and all-grain. Extract Brewing – This method, as the name implies, uses canned malt extract rather than the actual grains. Because the extract is simply added to boiling water and hops are added, this is generally considered the easiest way to homebrew. Partial Mash Brewing – This method incorporates using malt extracts with some actual grain. Because of the addition of loose malt, this method requires more skill and is an excellent intermediary step to mastering the art of homebrewing. All-Grain Brewing – This is the method that craft breweries use and requires the most skill to master. Grains are steeped in water at a specific temperature range and for a designated amount of time to achieve the desired results. The brewing process itself consists of several distinct steps each building on the one before to reach the ultimate goal of a refreshing adult beverage. Step 1: Sanitation – Beer is extremely susceptible to contamination therefore, to reduce the chance of rogue bacteria from imparting off flavors, all equipment must be sparkling clean. The best way to achieve this is with a commercial sanitizing agent, but a partial bleach solution will work, too. Step 2: Mashing –During this process malt extract or actual malted grains are added to hot water to convert complex sugars to simple sugars. To achieve the best results, the water often must be held at a specific temperature range. The liquid that results from this stage is called wort. Step 3: Boiling – In the boil, hops are added to impart bitterness and balance the maltiness of the wort. Depending on the style of beer you are making, you may need just one hop addition or, for hoppier styles, you may have a hops schedule that has hope additions occurring over a period of time. Step 4: Cooling – One of the biggest mistakes made by new brewers is adding the yeast too soon. Yeast is very delicate and requires a certain environment to survive, if the wort is too warm the yeast will perish. Many brewers will put their wort in an ice bath to cool it rapidly. Ideally ale yeast should never be added to wort that is warmer than 75-degrees. Once cooled, the wort is transferred to a primary fermentation vessel. Step 5: Pitching – When yeast is added to the cooled wort it is referred to as pitching the yeast. Yeast may come in either dry or liquid forms. Dry yeast should be rehydrated with warm water before pitching while liquid yeast can be added as is. Step 6: Fermentation – Once the yeast and wort are combined, the process of fermentation begins. Most brewers use a device called an airlock to monitor fermentation; as long as bubbles continue to rise through the airlock, the beer is fermenting. After a week or two the bubbles begin to slow and secondary fermentation can begin if desrired. During this second process, additional sugars and flavorings may be added to create unique characteristics in the finished beer. Step 7: Bottling – Finally, after all fermentation is complete, beer is transferred from fermentation vessels to bottles or kegs. Often a small amount of sugar is added at this stage so that when the bottles are capped fermentation will start again and carbonate the beer. Step 8: Enjoy – After several weeks of bottle conditioning, your beer will be ready to drink. Put a few in your fridge, invite some friends over and reap the rewards of your labors! I was recently introduced to Man Crates, who have some awesome gifts for guys. They posed the question, what would help a beginner that is looking to get into beer. So I thought about it a bit and came to the conclusion that we should start at the beginning with a foundation discussion of beer types, ingredients and styles. Whether you want to learn about beer for your own edification or so that you can follow a beer-centric conversation without having to ask for translation, every beer drinker should know what type of beer they drinking. To clarify, there are two main types of beer, but many different styles. According to the Beer Judge Certification Program Style Guide (2008 Edition) there are 23 distinct beer styles, each with multiple sub-styles. The 2014 Great American Beer Festival guidelines list 90 styles with multiple sub-styles. But, we will talk more about styles later. As noted above, there are two main beer types; ale and lager. The major differences between the two lie in the yeast that is used and how they are fermented. IPAs are ales that are clear and have a range of colors from deep gold to reddish copper. Aromas from IPAs are heavy on hop bitterness and can include pine, citrus, resin, floral or fruity. The flavor can be mildly hoppy to bitingly bitter with an assertively sweet malt backbone. IPAs began in England and were formulated to survive long voyages by sea better than other styles. Stouts and porters, while technically two different styles, share many of the same characteristics. These dark brews range in color from light brown to black. Aromas you will experience with both can include coffee, chocolate, dark fruits, toffee, caramel and even cream. A taste of these styles may present flavors that match the aromas as well as others like burnt toast, hop bitterness and sweet cream. Stouts are generally considered heavy beers than porters in flavor but, not necessarily in alcohol. Porters were said to be favored by the baggage handlers in London’s train stations, thus the name. Both styles are often carbonated with nitrogen rather than carbon dioxide producing a creamier, richer mouthfeel.